Description: A real gem perfect for town centre living. Delightful three bedroom bungalow in a most sought after area of Athlone's town centre. Walking distance of the River Shannon and the town bridge, this lovely property is presented in good condition and has many enhancing features to make it a cosy home for a discerning purchaser. 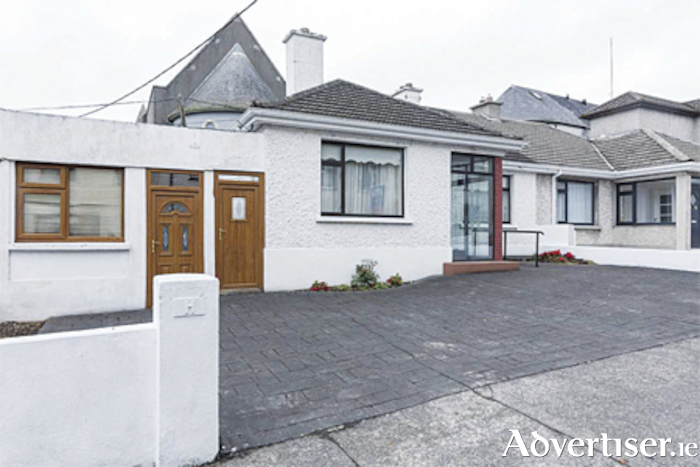 Three bedrooms, two reception Rooms, one bathroom, house, bungalow, semi detached, garden, patio, private parking, garage, town, S or W facing garden, water views, fair decoration, 90.0 Approx Sq Metres, BER G.
Agent for the property for Sherry Fitzgerald is Helena Kenny and she can be contacted on 086-8119190. Page generated in 0.0720 seconds.